There are plenty of activities in the region for outdoor enthusiasts. From Hiking Tracks and Trekking Trails to Water Sports and Canyoning. Check out the most popular ones below. The area is a designated Regional Park and the scenery is spectacular, with sea coasts, mountains, woods and historic olive groves to walk through. 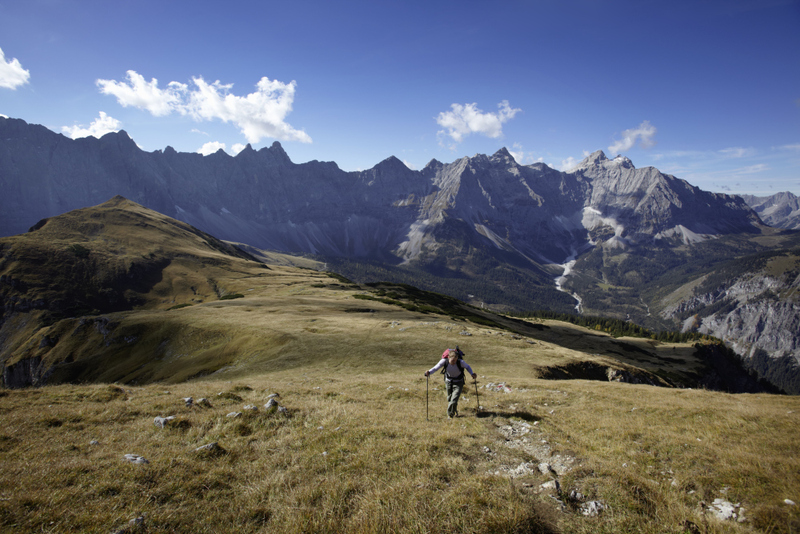 A great base for a walking holiday, with trekking trails for the amateur and seasoned walker . There are few better ways to combine excercise with fresh air, outstanding coastal scenery and a spot of gastronomy than hiking through Liguria . For details of trails and hikes please click the links. Old mule paths snake their way through the wooded valleys linking villages and churches. The walk from Pigna through Castel Vittoria to Bajardo is part of the longer Saorge - Pigna - Barardo - Ceriana - Taggia trail. Rochetta is linked to Isolabona, then Apricale links up to Perinaldo which has paths down to Dolceacqua. There is a pathway from Ventimiliglia along the coast to France and longer trails crisscrossing the mountains from Italy to France. For those who prefer organised trips Supernatural Outdoor Center is recommended and can take care of all your needs. Canyoning is very popular in the village of Rochetta Nervina and tours can be arranged. Horse riding is available in the hills behind Pigna as well as quad biking. Tennis courts are available for hire in Pigna. Mushroom forays can also be arranged. Please speak to our 'meet and greet' person to arrange for you. With the beautiful weather that persists year-round in Menton, there is always something to do outdoors. The 316 cloudless days a year make Menton a wonderful place to do water sports such as sailing, scuba diving, water-skiing and windsurfing during the summer. There are also various sporting clubs such as the Club Nautique du Vieux Port and Sporting Club Aviron, located on the promenade. Nervia valley has produced some of Italy’s best cyclists. (you will see why when you experience how steep some of the hills are!) But once you are up on top of a hill you can stroll or ride along the ridges and enjoy the views. Roads and tracks in the upper part of the valley are quiet and the views spectacular. The principal cycling club is in Bordighera but there are many smaller ones. On Saturday and Sunday mornings dozens of groups will come racing up the Nervia valley, stoping for refreshments along the way and fan out over the hills around Apricale. If you fancy having a go yourself, head to SanRemo, ​ hire a bicycle and s hare the passion for the Italians love of cycling and enjoyment of wonderful scenery. Ride on quiet roads with barely any traffic, and running alongside the coastal road on the former railway enjoy the fantastic 25km cycle path which all cyclists use and will be the course for the prologue of the Giro d’Italia first stage in 2016. Bikes can be hired from numerous places in SanRemo and Ventimiglia. We are just 1 hour by car from Limone Piemonte , a fantastic ski region suitable for all abilities. The train journey there is also spectacular passing through some 45 tunnels with amazing views inbetween. Click on the link for further information. Diving is popular and is available in most towns along the coast. Menton is an excellent area for divers, since you can dive into canyons, colored rocks and shipwrecks that are full of marine life, offering dive sites suitable for divers of various levels.